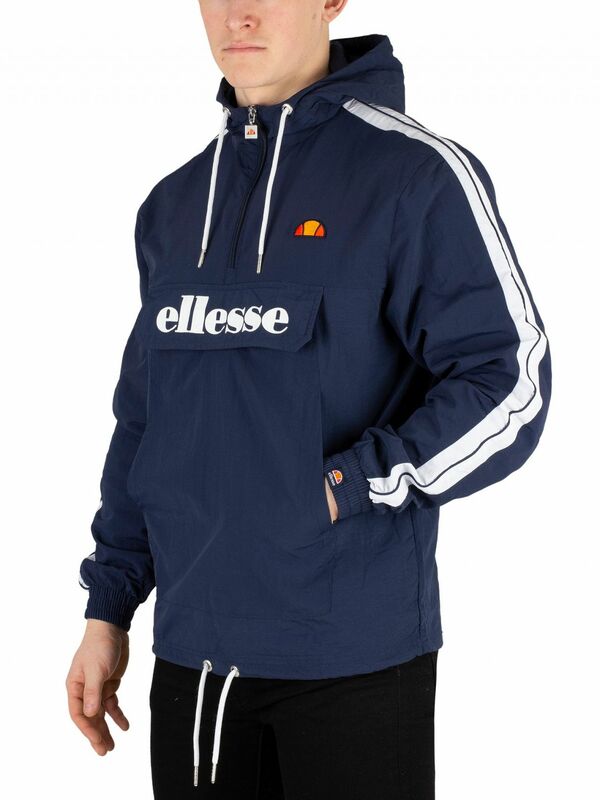 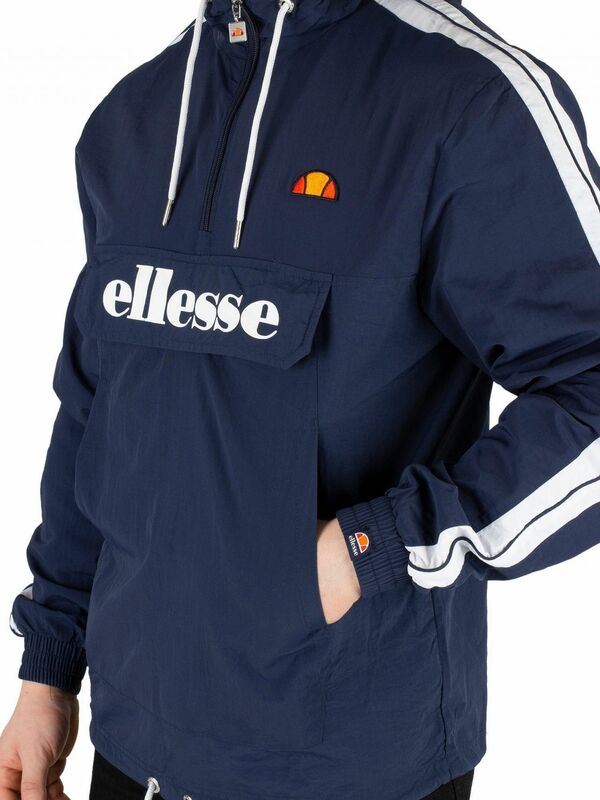 The Fighter 1/2 Zip Track Jacket from Ellesse comes with a half zip closure and branded zip, featuring printed branding on front Velcro and zip pocket with open pocket below. 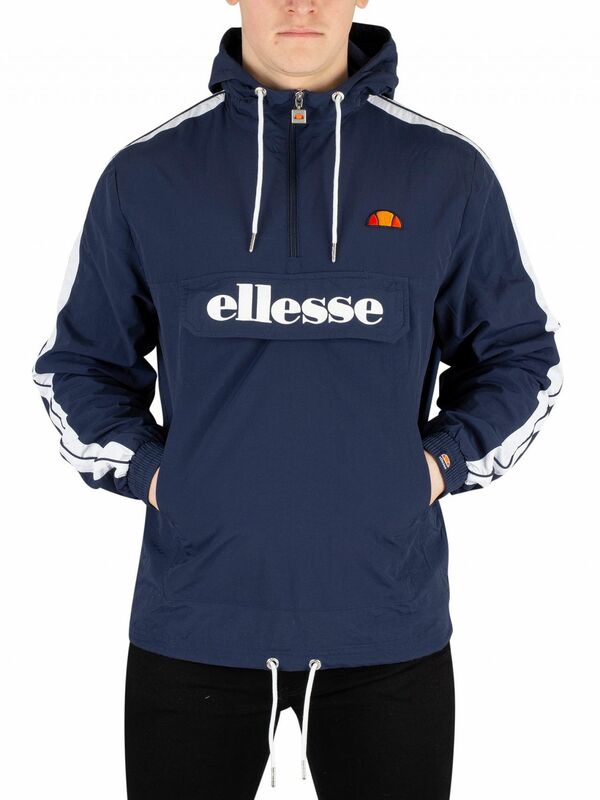 Featuring stripes down both arms, this jacket also features a drawstring hood and hem and mesh lining including hood. 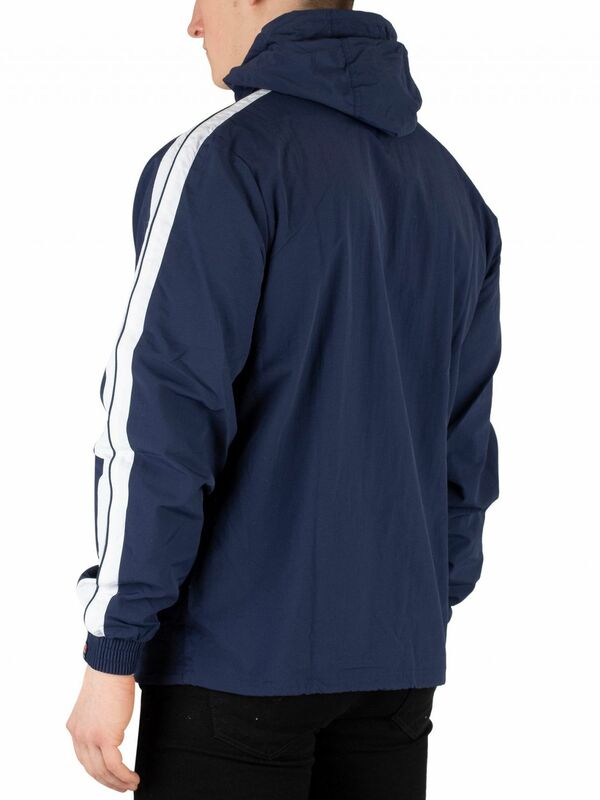 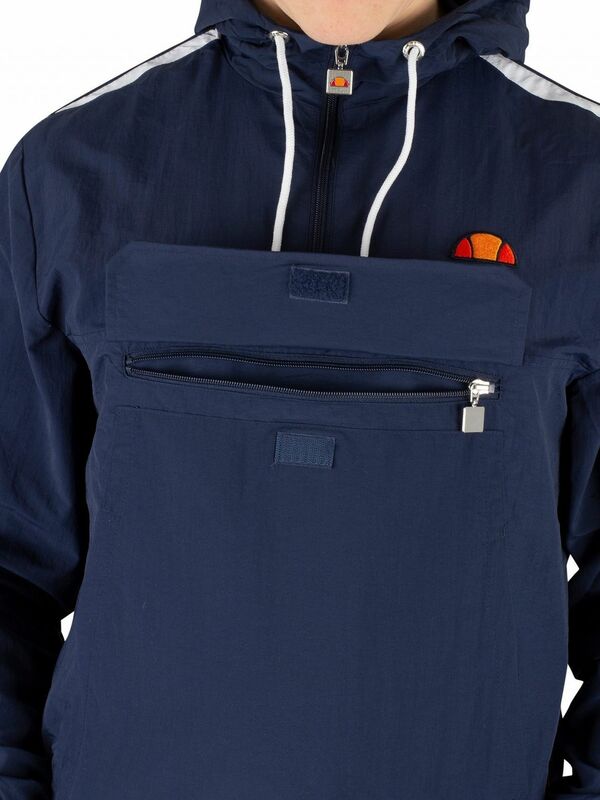 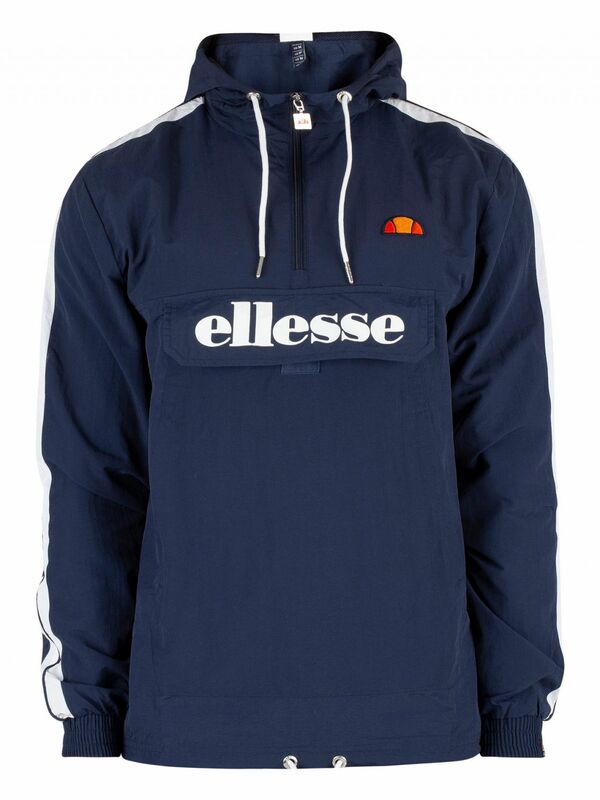 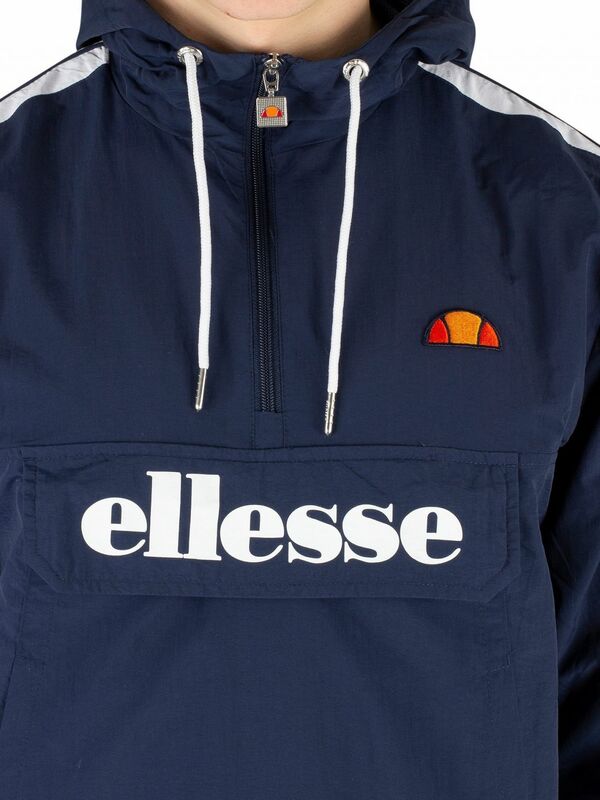 Coming in Navy colour, this track jacket sports elasticated cuffs with branded tag on left cuff.